Stubborn you are, flashing those bling-bling. The impact though is like that of nose rings. Kid yourself but nobody's impressed. People don't care. 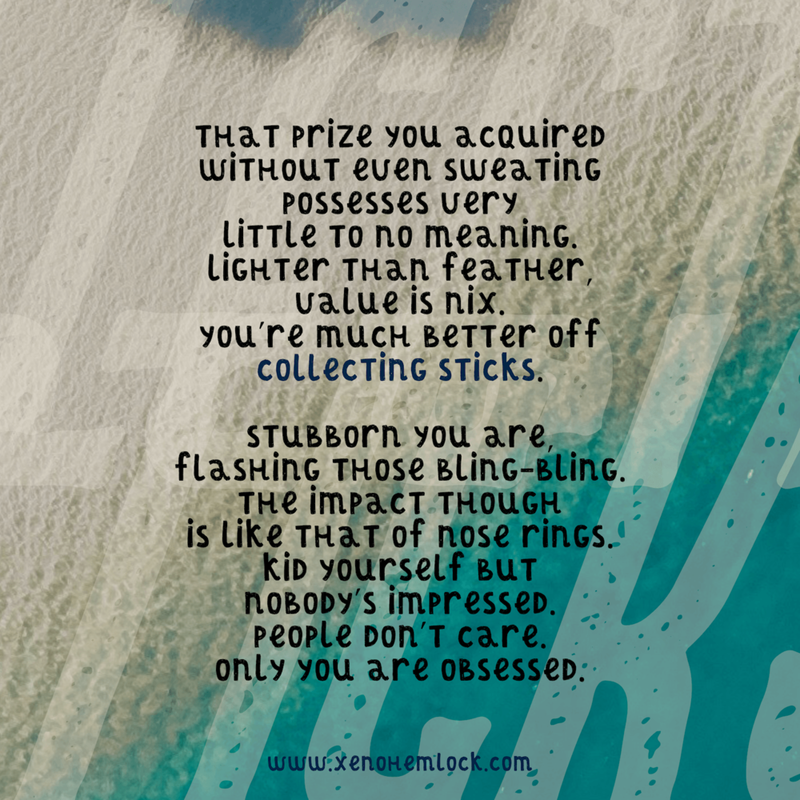 Only you are obsessed.